BusinessCom is not restricted to just one carrier and utilises multiple Tier 1 Networks to provide a complete range of office phone and internet services. The networks include Telstra, Optus, Vocus, Vonex, AAPT, TPG and Cirrus. Business Grade Products and Services Delivered Utilising Australia's Leading Tier 1 Carriers. Complete Range of Business Communication Products and Services Across Multiple Technologies. Monthly Plans and Call Rates Designed to Deliver Enterprise Grade Services at Ultra-Competitive Prices. 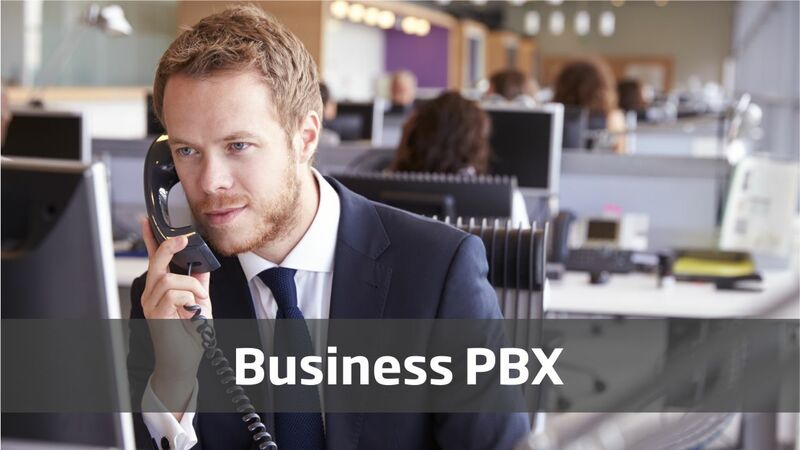 Transition Your Business to the Latest in Business VoIP and Hosted PBX Technology. Upgrade to NBN or Choose from a Range of Carrier Fibre Services. Receive One Account for All Services Across Multiple Carriers and Technologies. BusinessCom has wholesale arrangements with all the major Telco Carriers. The broad range of carrier networks enables us to deliver the best possible choice for a particular business need or requirement. And of course, all that at the best possible rates. Our range of office phone lines includes PSTN lines for smaller businesses, home offices and essential services; ISDN lines that cater for all types of business requirements including small business; and SIP Trunks that deliver high performance, carrier grade Business VoIP. Choose from a range of plans to suit your business requirements. The broad range of carrier networks enables BusinessCom to deliver the best possible choice for a particular business need or requirement, which in many cases could include the delivery of multiple carrier networks on the one account. Enterprise grade business VoIP SIP trunks. The replacement technology for traditional phone lines and ISDN services. Superior features and functions delivering the ultimate in business telco flexibility. Suitable for all types of deployment including PBX Phone Systems, IP Handsets, a Softphone Application or a Mobile App. Small business digital phone lines delivered by the Telstra network. Capable of two concurrent phone calls and multiple in-dial numbers. Suitable for PBX phone systems with a BRI card. Business digital lines capable of delivering 10+ concurrent phone calls and full PBX functionality including extension in-dial numbers. Choice of Telstra and Optus networks. Suitable for PBX systems with a PRI card. Traditional copper network phone lines. Currently being phased out with the introduction of NBN and IP telephony. Still being used in the absence of a reliable broadband connection to support VoIP, or to deliver ADSL and ISDN services. Internet Plans to Suit All Budgets. Full Range of Broadband Services. 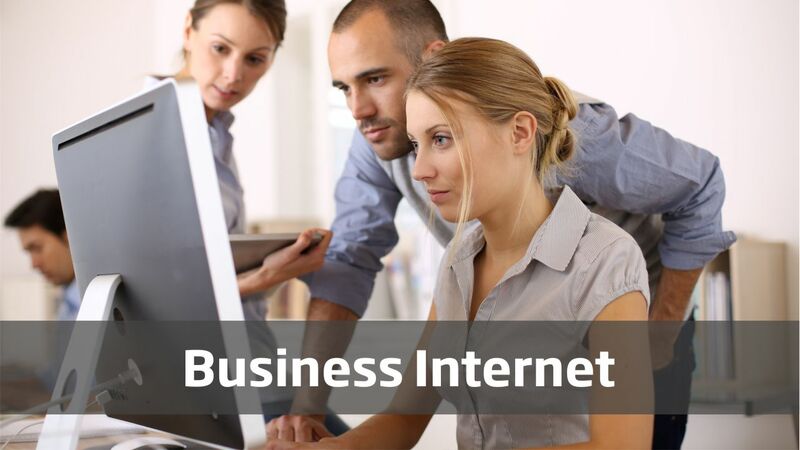 Office broadband internet including business grade ADSL 2 for smaller businesses, High Speed Ethernet for maximum performance, and Fixed Wireless Broadband for businesses with limited network coverage. BusinessCom is also a CSP (Carriage Service Provider) for an Australian Tier 1 Carrier with an extensive national fibre network that incorporates NBN. Cheapest form of fast business broadband available. Variable speeds of up to 100Mbps download and 40Mbps upload. Includes a Static IP address. Australian based technical support with local knowledge and training to support your business. High performance, symmetrical business broadband that's a real alternative to business fibre. Ideal solution for businesses that require a suitable broadband connection for cloud based applications and IP telephony. Perfect broadband solution for businesses that require superior performance and highest speed available. Business fibre is delivered directly by carriers with their own fibre networks. Access to all major networks for the best possible choice. High speed, symmetrical business broadband suitable as an alternative to MBE and business fibre. Perfect for remote locations and broadband constrained areas. Complete with symmetrical speeds, VPN capability and Static IP address. High quality, low congestion ADSL service including a Static IP Address. No lock-in contract to enable an upgrade to faster broadband when required. Suitable for small business operations waiting to connect to the NBN. Office phone systems have gone beyond the traditional on-premise PBX systems which offered limited flexibility and were expensive to install and maintain. IP phone systems are fully scalable, offer unprecedented flexibility, require low capital expenditure and are virtually maintenance free. Be NBN ready and reduce costs while gaining features and functions that a traditional office phone system can't match. And because it's delivered by a Tier 1 Carrier Network, you're guaranteed that your phone system is of the highest quality and with enterprise grade SLAs. Replacement technology for traditional PBX phone systems. Easily scalable and no phone lines necessary. Superior reliability and redundancy with low equipment cost and virtually no maintenance. 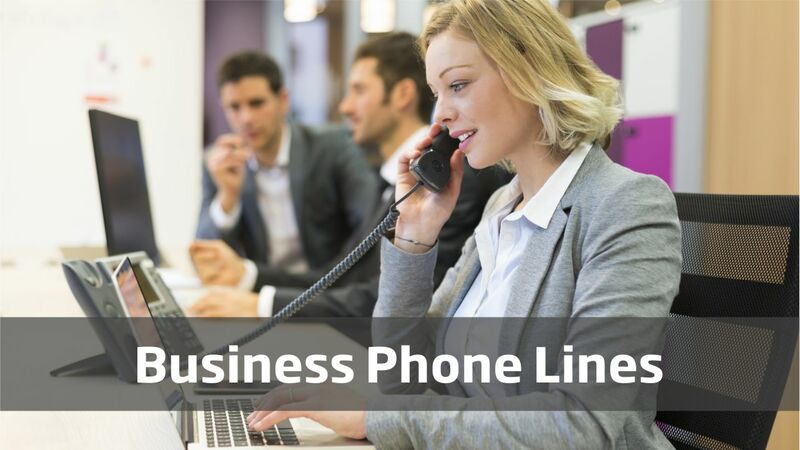 The complete business phone package. All-In-One business VoIP, hosted PBX and IP handset. Full PBX functionality with multiple call lines and cheap call rates. Choice of desk phone or cordless IP handset. Start building your PBX system. BusinessCo Group is a Certified Yealink and Grandstream Reseller. We offer discounted prices on the full range of desk phones, executive handsets, reception modules and video IP phones. One of the leading global suppliers of IP audio and video products, with its core mission being 'Easy Collaboration, High Productivity'. The company’s high-quality IP telephony solutions enhance work efficiency, productivity and competitive advantages of businesses in over 100 countries. Another leading global supplier that has been connecting the world since 2002. The company is renowned within the industry for quality, innovation and product value. Grandstream is focused on research and development, and consistently drives the market forward with new and innovative IP technology. Designed for today's busy executives and managers, the T4S series features an elegant appearance, high-definition audio and a complete set of business grade features and functions. Integrated with cutting edge features like Wi-Fi and Bluetooth connectivity. Yealink T5 Media Phone series brings together high-definition voice, video and a number of other application capabilities. It is an all-in-one solution for businesses of all sizes. With enhanced HD video and audio as well as an intuitive interface, the phones are ideal for today's busy executives and professionals.